Handle with Care has evolved through several phases, each with a distinct purpose and audience. 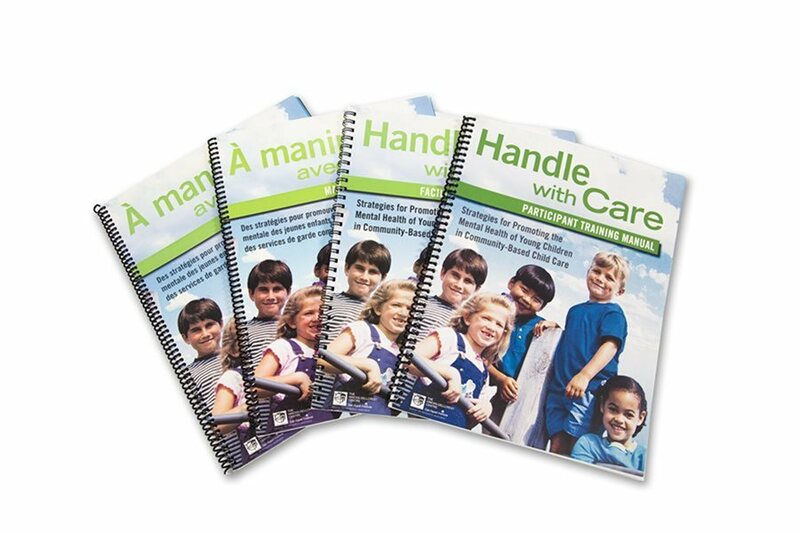 The Handle with Care project began in 2002 with collaboration between Bonnie Pape at the national office of the Canadian Mental Health Association and Nancy Cohen at the Hincks-Dellcrest Centre in Toronto. The initial project, funded by Human Resources and Social Development Canada, was focuses on identifying strategies for childcare practitioners. 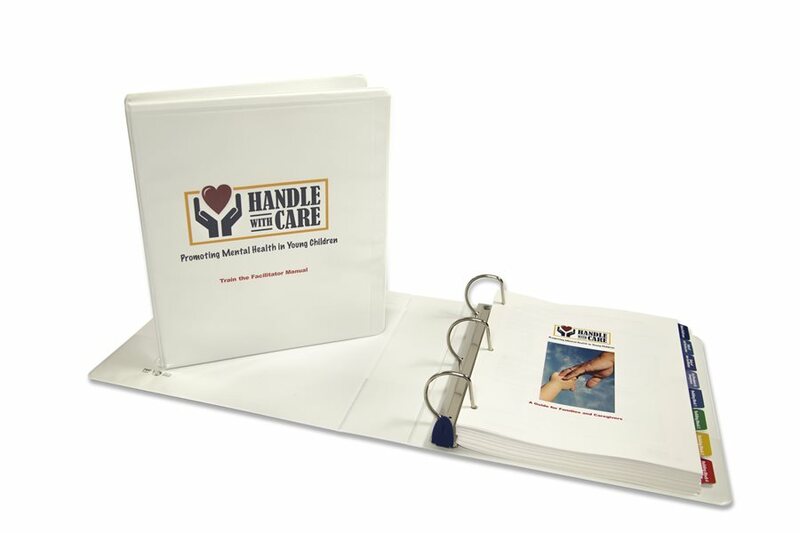 The project had two products: a summary of recent literature (Handle with Care: Strategies for Promoting the Mental Health of Young Children in Community Based Child Care) and a bilingual resource booklet for childcare practitioners, with strategies drawn from evidence-based practices, and actual examples from child care centres across the country. The second phase of the project began in 2004 and involved a national training initiative under the leadership of the Hincks-Dellcrest Centre with ongoing collaboration between Nancy Cohen and Bonnie Pape. 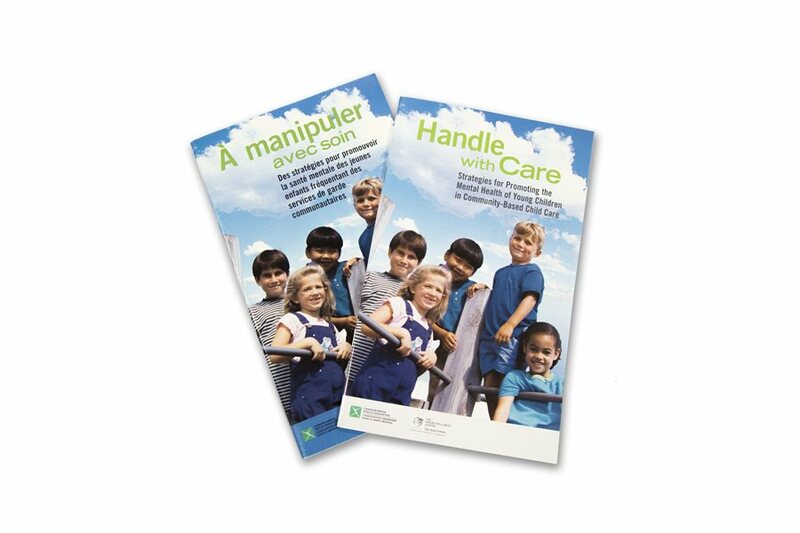 Two training programs were developed in 2007 with accompanying manuals and materials in both English and French; training childcare practitioners and their trainer. 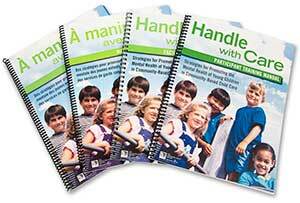 The training program for practitioners emphasizes their vital role in promoting children’s mental health, and a train-the-trainer program prepared individuals to deliver Handle with Care training for practitioners in their own communities. The train-the-trainer program was piloted with 36 participants from all provinces and the Yukon, and many of these participants have since trained practitioners in their regions. Phase three was completed in 2011 and examined outcomes of training on practitioner knowledge and practice, and evaluated these outcomes in three Ontario communities (urban, suburban, and rural). This phase was funded through the Alva Foundation and the Hincks-Dellcrest Raise a Smile Fund. 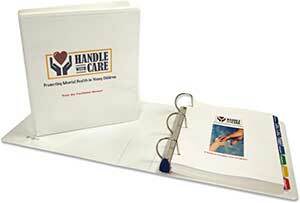 There has been a growing demand for Handle with Care materials and training from this phase. The recognition of the program’s policy implications helped us to see the program’s potential to have a positive impact on families as well as childcare providers in communities with particular mental health risk factors. In phase four we used simple interactive activities to help parents and caregivers, including those who work in early childhood settings, to promote the mental health of young children from birth to 6 years. The activities follow strengths-based approaches that assume every parent and caregiver has problem-solving skills, potential resources, and wants what’s best for the children in their lives. Phase four evaluated the outcomes of the adapted programs in Prince Edward Island, Ontario, Manitoba and the Yukon. Population served parents and caregivers who lived in communities with particular mental health risk factors. This phase was funded through the Public Health Agency of Canada.